"Eat Here or We'll Both Starve"
Unused plates mean empty pockets for privately owned restaurants. 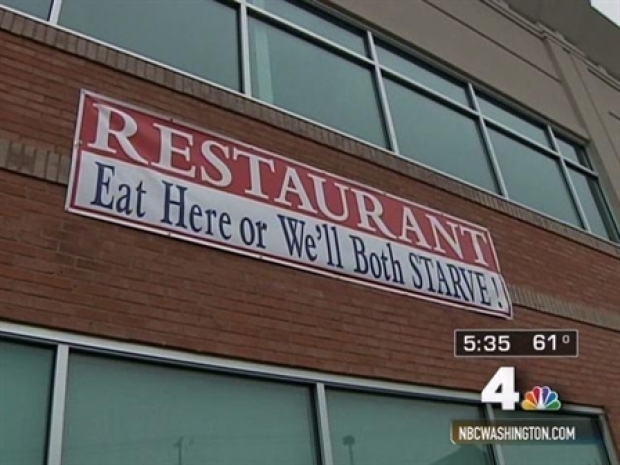 STAFFORD, Va. -- A rather drastic sign at a North Stafford restaurant suggests that if residents don't stop in for a meal, they and the owners will die of a hunger. "I'm just trying to survive," Eric Green, who co-owns County Fare with his wife, Lizann, told the Stafford County Sun. "I can't raise my prices or nobody will come in." 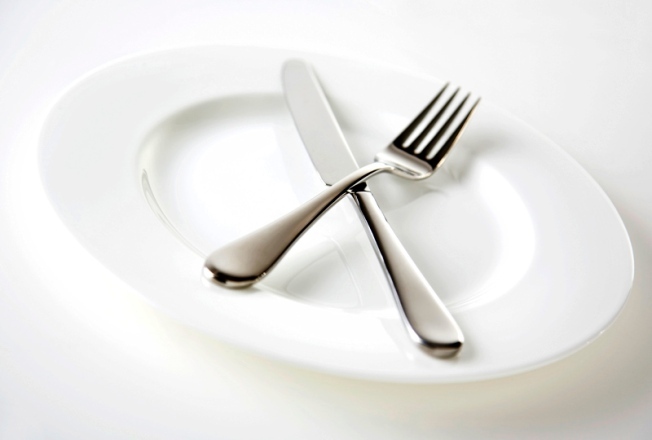 Privately owned restaurants are struggling to compete with large restaurant chains, the Sun reported. Those restaurants are less expensive to run because they get large food discounts, Green said. He also lamented the minimum wage hike, payroll taxes, and now the business, professional and occupational license tax. Mom-and-pop restaurants King Street Blues, Virginia Barbeque, Mad Moose and Amici's are gone, the Sun reported. "Eat Here or We'll Both STARVE!" A Stafford County restaurateur is trying to spark business with a rather dramatic message. Green told the Sun his sign -- "Eat here or we'll both starve" -- is working and business is up, but County Fare is still struggling, as are other privately owned restaurants in the county.